Situated on the Northern slope of a penisula, Mossel Bay is the most important coastal town between Cape Town and Port Elizabeth. With a busy harbour and business community it can be described as the “Naples of South Africa” owing to its refreshing climate, sparkling blue sea and white beaches. Kleinbrak has a low rainfall, is protected against winds, and with its vegetation of aloes and proteas is a Karoo town at the sea. The water in the sea stays a constant temperature during the summer months due to the warm Mozambique current. The month of June is warm and sunny. Avarage annual maximun of 20.4C and minimum temperatures of 14.4C its avarage monthly rainfall of 30mm, and its average number of only 4 cloudy days per month, it outshines even the Durban area. Your daily tours from Mossel Bay will take you to places of historical interest such as Oudtshoorn, with the Cango Caves, the Ostrich farms and the Congo Crocodile Ranch or Knysna, with its magical lagoon and the Featherbed Nature Reserve at Knysna Heads. 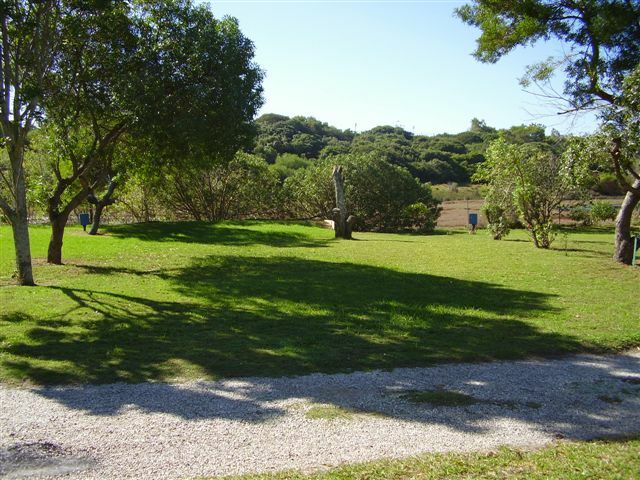 The Outeniqua Caravan Park is situated in quiet surroundings between Mossel Bay and George and is an ideal base for trips through the Garden Route and close enough for Daily visits to the Cango Caves and Oudtshoorn’s Ostrich Farms. Little Brak Beach, only 1.8km from the Park is large enough not to be overcrowded and is also very safe for small children. George, Knysna and the Wilderness are within an hours drive and Plettenberg Bay only 2 hours away.